At Arrowhead Arthur Murray, we offer personalized programs that provide our students with unlimited access to our group dance lessons. Under these programs, students are exposed to all different dance styles, and they are given unlimited practice hours in the studio, which gives them the time and resources they need to truly hone in on their skills. Unlike most studios that require students to pay per class, our Sun City dance studio instead allows students to take as many lessons as they want in whichever styles they choose. To learn more about the personalized dance programs we offer, contact us at 623-974-3500. 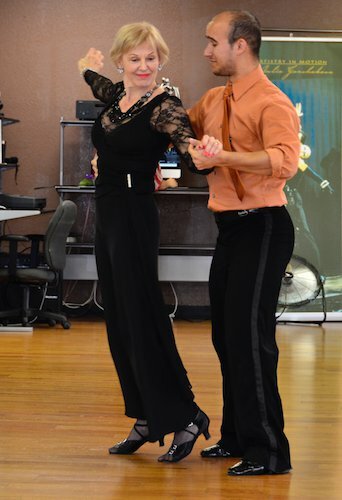 Because the ballroom dance students in our personalized programs receive so much training and practice time, it is common for them to be asked if they are teachers when they go out dancing socially. This is due to the fact that other people recognize how well they dance, their confidence, and their diversity. When you sign up for one of our personalized programs at Arrowhead Arthur Murray, we take the time to learn about your personal goals as a dance student. We’ll discuss what dances you want to learn, and what level of skill you want to reach. With our more than 100 years of teaching experience and our top-quality instructors, there is no doubt that we can help you become the dancer you always wanted to be. Contact our dance studio at 623-974-3500 so we can help you get started on your lessons!